Are you a new mommy who wants to earn some extra cash without spending too much time and energy? Do you want to start working from home, without having to pay anything? Since you just can’t afford to make your website or start a blog now? Worry not Mamma, if you can speak and write in more than one language. 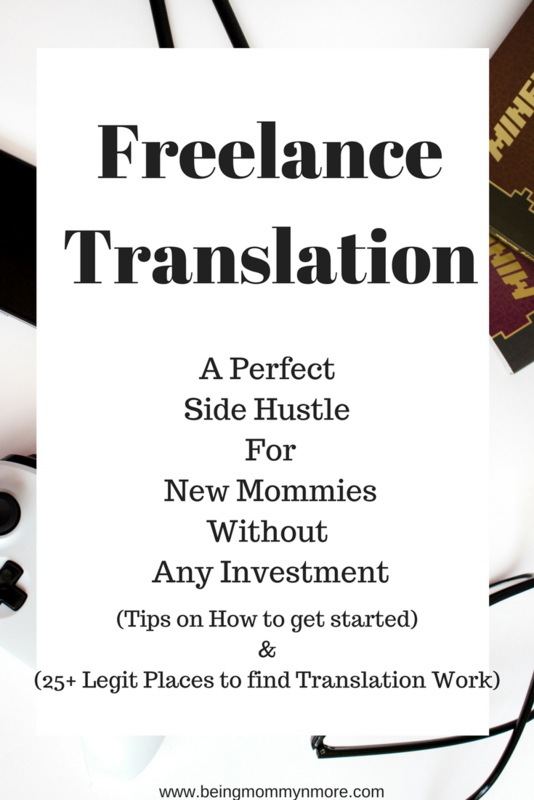 Or you grew up in a bilingual home; you can make money doing TRANSLATION!! I never thought knowing more than one language will someday help me earn money. I am from a technical background and have worked in the corporate sector as well as in education. When my son was born, I quit my job to become a stay at home Mom, and I never once regret my decision. But, there was always an itch to do something. Something that could earn me money without spending too much time on it. My baby was only a few month old, and I couldn’t give more than an hour or so to any work I decide to do. While searching for suitable online jobs on freelancing job boards, I came across a translation job; it required me to do translation from English to my native language (Hindi). Since I grew up talking and writing both languages, I have good command over both. So, I decided to go for it. Now, I earn few extra cash every month from freelance translation. It’s a not a large amount but hey, for just a few hours of work in a week; it’s good enough. For starting out as a translator, you need some samples to show the client. Start by download and installing the typing software for the language in which you want to translate. There is free software available on the internet. You can create a few sample translation documents. Make sure you don’t use any copyrighted material. You can just take a Wikipedia document (if you have a niche, take text related to that) and translate it. It’s always better to do translation from your second language to your native language. You can capture the tone and essence of your native language more efficiently in your translation. Search for jobs which ask for a translation into your native language. Create your profile on freelance job boards: Once you have created and updated your profile on job boards like freelancer.com or guru.com. You can start applying for the jobs which suit you. For me, I found a regular client on a job board within a few days after starting the translation work. I am getting steady work from him for months now, the timing, deadlines and pricing work for me perfectly. Gengo is an excellent place for translators, thousands of translators work remotely with Gengo, and you have to go through a test first. Once you have cleared the test, you can start working. Payment is through PayPal or Payoneer. Rev has quiet a strick test procedure before they hire you. You can work either as a translator, transcriptionist, or captioner. Payment is weekly through Paypal. You can create and register on Proz for free. Then, browse through the available jobs. And bid on the one for which you are qualified for and interested. They also have paid subscription plan, which maximises your chances of getting jobs. Translators town is a directory of translations jobs and translators. It is like freelance job boards, where you have to bid on the jobs you are interested. The client pays you on agreed upon money, which you discuss before starting the work. Translators Town has no involvement in the payment unless there is an issue. 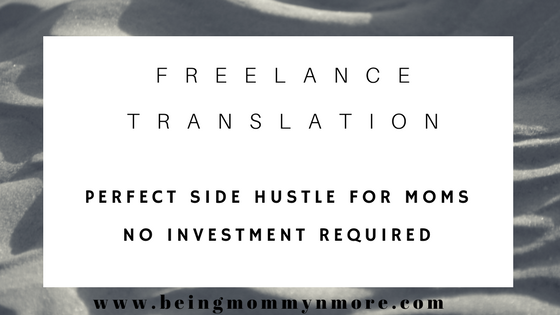 Have you tried freelance translation work? What do you think about it? Please keep posting things like this…very helpful.. Copyright © 2019 Being Mommy n More &verbar; Kalon by: Rara Theme &verbar; Powered by: WordPress.